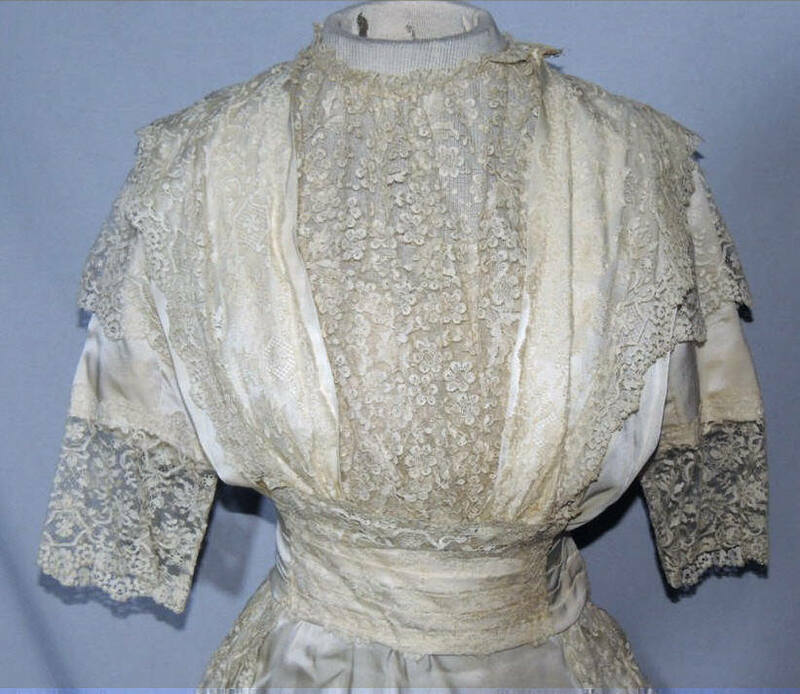 This beautiful Edwardian dress is made from ivory silk charmeuse, it has a label printed on the petersham, A & M O'Connor, Philadelphia. 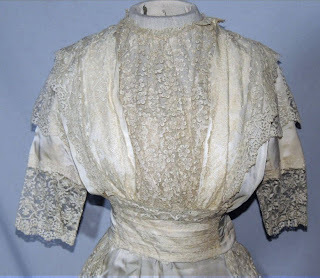 The bodice is lined in cotton, its' trimmed with a pretty French lace down the front and back of the bodice, sleeves and down the side of the skirt. 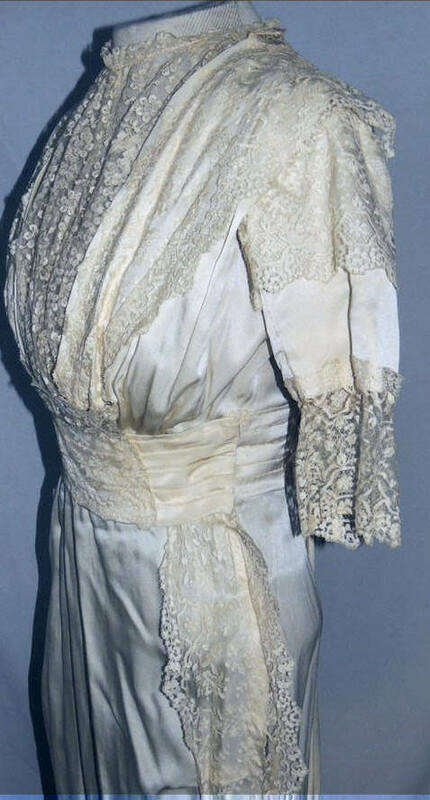 The gathered front panel may be a replacement, the lace looks age correct, but is differnet. 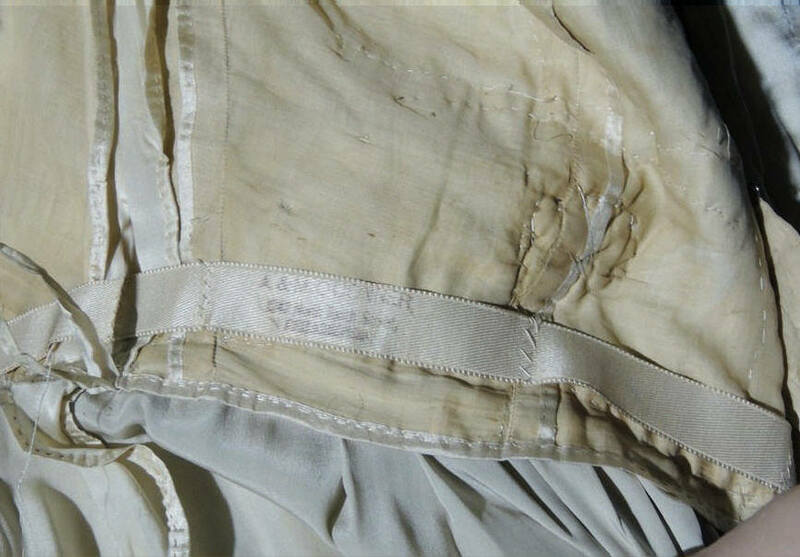 The underbodice hooks down the front, and the wide pleated belt comes across and hooks on the side and down the side front placket of the skirt. The skirt has pleats on the sides across the front about fingertip level. 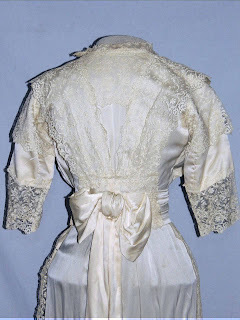 In back there's a large floppy bow with long streamers, one edge of the bow needs to be tacked to the bodice. 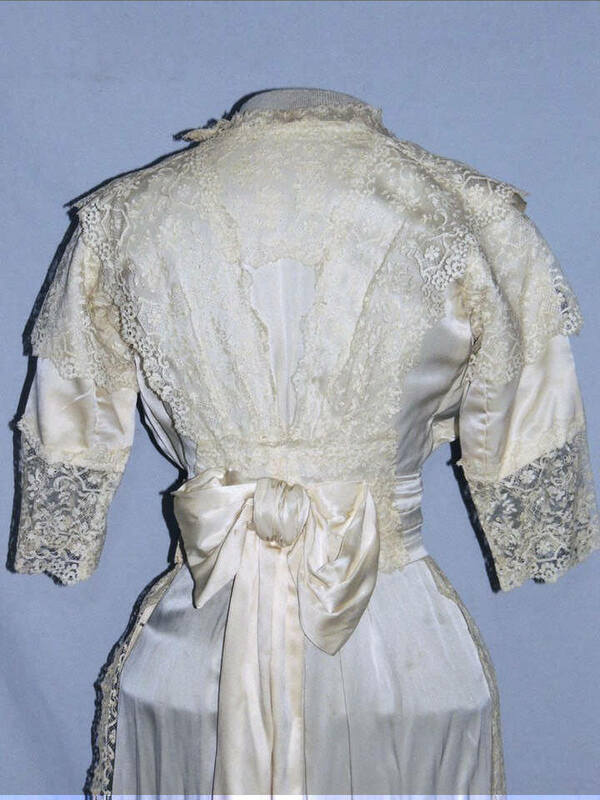 IT measures 35 inches around the bust, across the back shoulder is 12 3/4 inches, waist is 23, hips are 40 and it's 58 1/2 inches long a few small spots on the edge of the streamer on the bow. Excellent condition. This looks funky to me. Like something is missing. 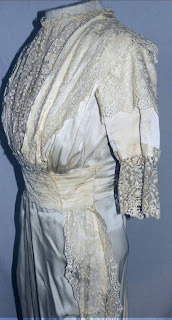 But it is from the early Teens Era.